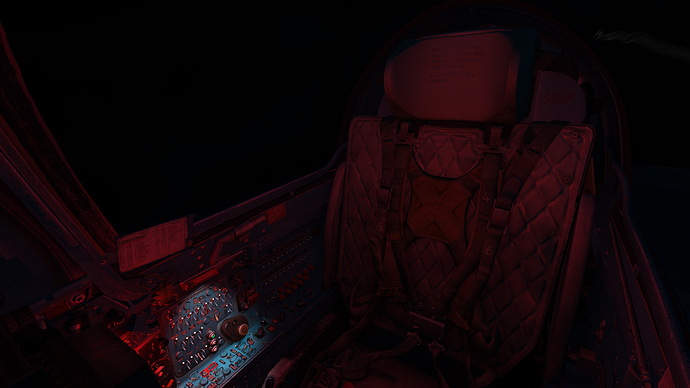 [quote]We’ve now finished re-implementing the basic night lighting system in the cockpit. 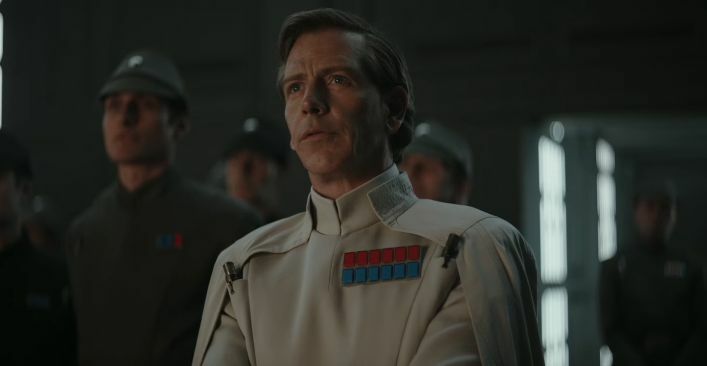 For 2.5- we hope to include some more lighting features, such as individual warning lights influencing objects and afterburner glow visible in the cockpit. 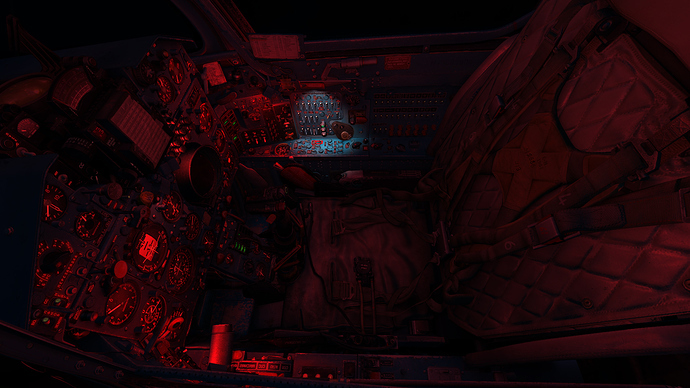 We are also working on backporting various other visual features developed for future modules to the MiG-21bis. These will be migrated as time allows! This basic system should be available in one of the next patches coming up. They’re really hurting over getting the radar to cooperate. But, they’re making progress! They’re doing all my favs, so I’m cheering them on. 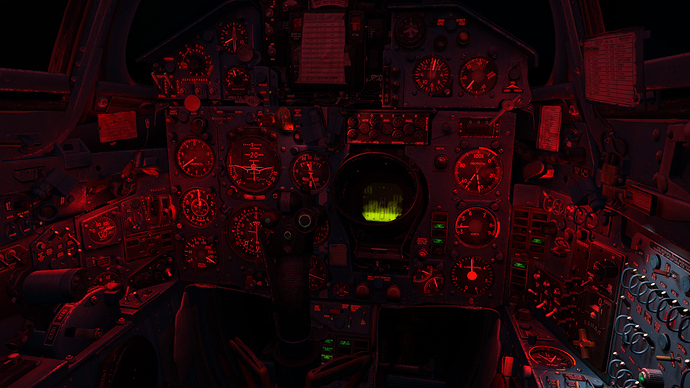 Doing IFR circuits at night and in fog in the -21 is one of the most thrilling experiences I had in DCS. I’m really glad they amp up that atmosphere even more. The 21 remains one of the most fun aircraft in DCS IMHO. Incredible…I don’t want to fly a funny aircraft, an eye-candy aircraft… I want my fishbed with the proper implementation of the avionics. They must solve the avionics issues first. Yes that is what they are working on, the recent 1.5.3 update broke quite a few things. I wonder what ED is doing in the backside. With 1.5.4, we will be launching two major improvements to the MiG-21. 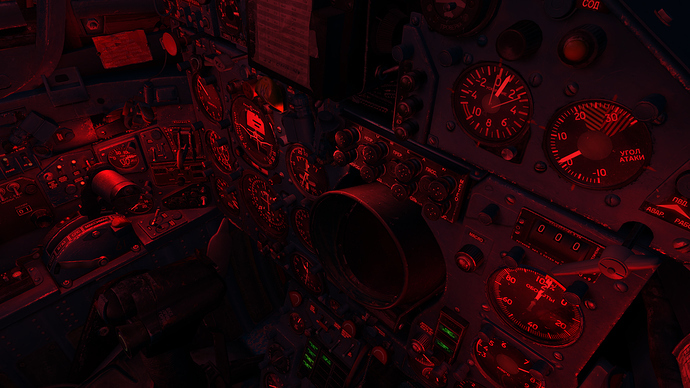 We have more improvements lined up for the MiG-21, including bugfixes and visual improvements. These will be detailed at a later time. In order to ensure accurate and realistic flight performance, we’ve spent a lot of time and focus on tweaking the MiG-21s’ flight model in all flight regimes. With the unique position of our lead FM programmer being an active duty MiG-21bis pilot; we were able to take more real-time telemetry and video data from several recent training flights. Such data is invaluable to us, and serves to further help with verifying subjective pilot/programmer feeling. where the aircraft now performs more to what you’d expect (and also more reminiscent of one of our earlier revisions). There are, however, significant changes across all performance and flight parameters. We look forward to you flying the MiG-21 and providing feedback where applicable! 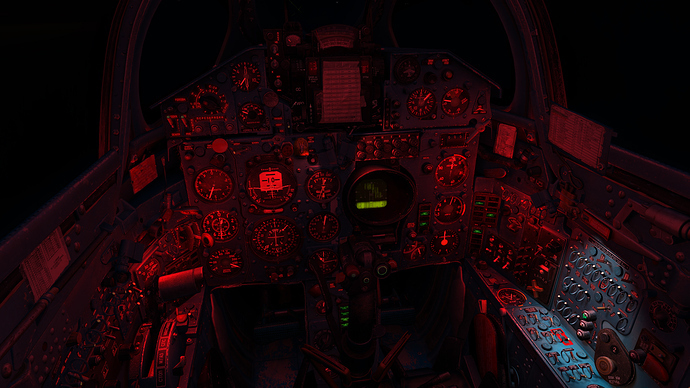 While we have several more, significant, visual improvements pending implementation (and backporting) to the MiG-21bis; we will begin by re-implementing the night flood lighting. These lights will have a performance impact pending upgrades to the core engine. The lights will not be available in 1.5.4 Open BETA. They will be made available in 1.5.4 Release. The night lighting has been fixed and committed- and will be available at the next patch pull after this one. Heads up, important patch incoming for the MiG-21 concerning StarForce activation. I don’t want to open a new thread for this info. Very nice. As a scale modeler I can tell you the 21 in bare metal can be a very difficult subject to get right. That’s a very nice combination of nicely done model and game engine showing it off to good effect.